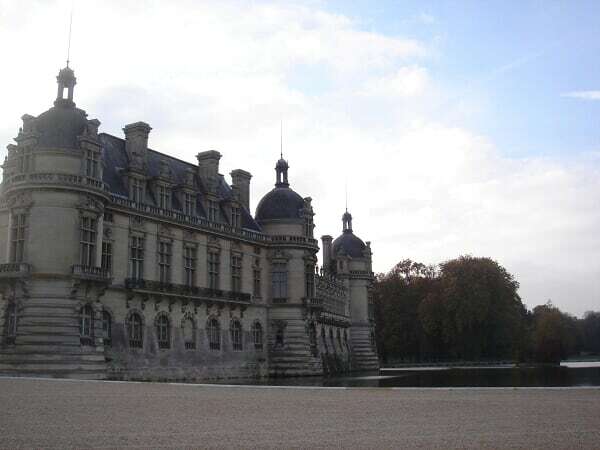 Chateau de Chantilly, built between 1528 and 1531, locates in the city of Chantilly that’s about 40 km north of Paris. It was the estate of Condé’s family, who were cousins of French kings. However, the original mansion was destroyed during French Revolution so the property was entirely rebuilt in 1875 to 1881. Its last owner, the Duke of Aumale, son of King Louis-Philippe, transformed the castle into a showcase for his sumptuous art collections before bequeathing this estate to France in 1886. 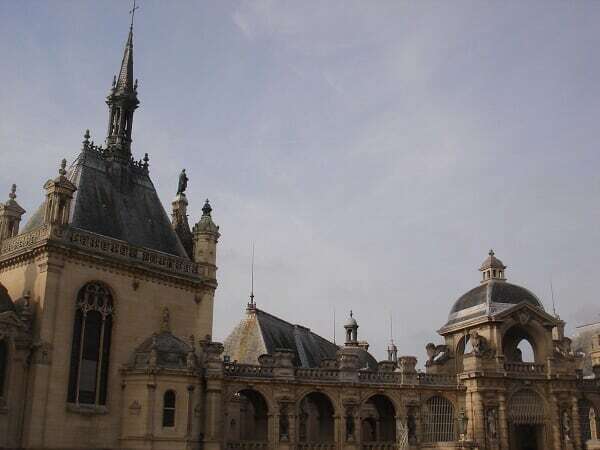 Therefore, Chateau de Chantilly is not only a castle but also now houses Musée Condé that contains one of the finest galleries of arts–including masterpieces by Raphael, Maso di Banco, Antoine Watteau, Nicolas Poussin, etc.–in France. 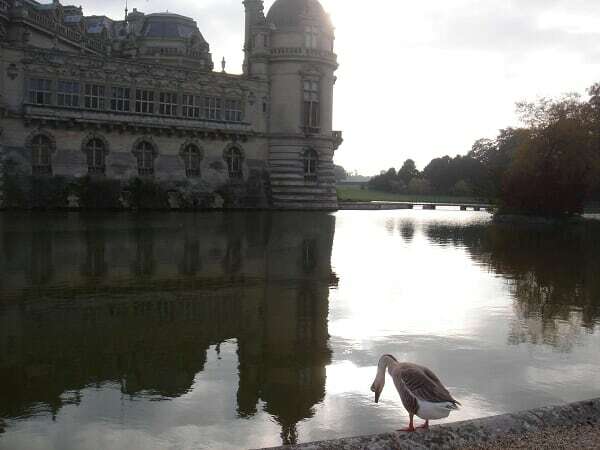 The most distinguishing characteristic of Chateau de Chantilly is that it’s surrounded by artificial lakes to make the castle look like a mirage floating weightlessly on the water. This makes me think of Chateau de Chenonceau and Chateau d’Azay-le-Rideau. Chateau and the front courtyard. 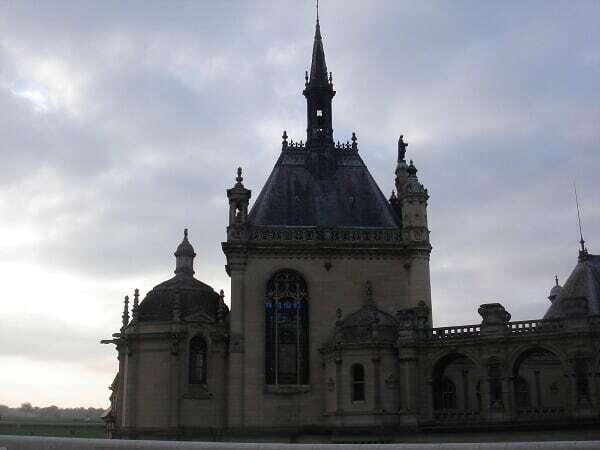 The compartment with the tallest tower is the chapel of the Hearts of the Princes of Condé. Behind the alter in the chapel is a circular area with an urn that contains Princes of Condé’s hearts. The fountain in the backyard of the castle. The grand staircase that connects the courtyard to the backyard. Part of the lake surrounds the back of the castle. There are various rooms containing extraordinary collections of artworks, delicately designed weapons such as the Princes of Condé’s sabers, and a library with thousands of books. Also there’s a room that exhibits priceless jewelries and crystal goblets. However, it was a bit difficult to take photos inside because the light was quite dim and all the draperies were down. The white pavilion is Temple of Venus. The Grand Stables of Chantilly. Louis-Henri de Bourbon, 7th Prince of Condé, commissioned Jean Aubert to build the Grand Stables because the prince believed that he would reincarnate as a horse. Thus, he wanted stables that would reflect the majesty of his rank. During this time, the stables hosted 240 horses and 500 hounds. Louis-Henri was so proud of his architectural wonder that he organized sumptuous dinners under the monumental dome which soars 28 meters tall. Louis XV, the future Tsar Paul I and Frederic II of Prussia both attended some of these dinners. The Grand Stables was spared during the French Revolution because the army used them as barracks. Only two statues, fountain of the "Kennels Courtyard" and the "Renommée" at the top of the dome, were destroyed. In 1989, Yves Bienaimé replaced the "Renommée" with a copy before donating the Grand Stables to France. Another view of the Grand Stables. 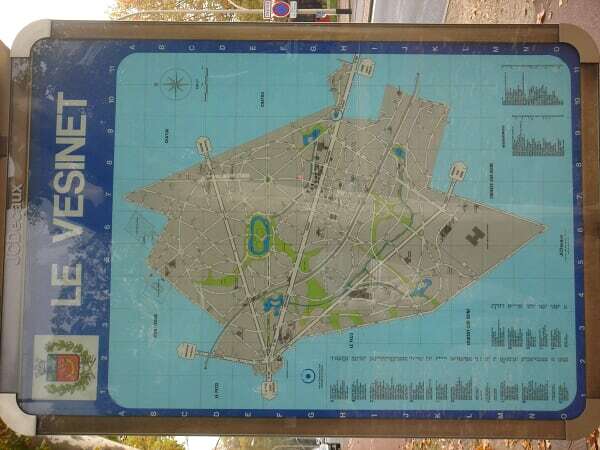 Le Vesinet is about 16 km west and one of the wealthiest cities of Paris. 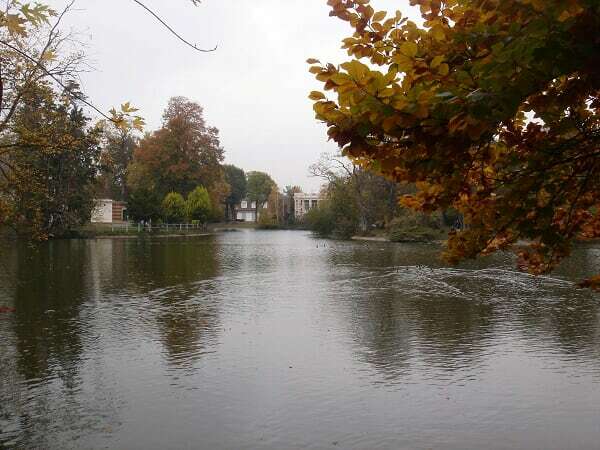 It is known to have wooded avenues; and its residential area is full of small creeks and surrounding two lakes. So~the reason for me to go to Le Vesinet is also due to the Arsene Lupin story–La Cagliostro se venge (The Revenge of The Countess of Cagliostro). This is the last adventure of Arsene Lupin in which he encountered a young man that he suspected to be his son. The story set out as Lupin witness an old man doing something fishy in the bank and followed him to Le Vesinet; and in there, he met two sisters and hired a young interior designer for his newly-bought mansion. The young interior designer was suspected for involving in a murder of the older sister’s fiancé, however, Lupin thought otherwise. 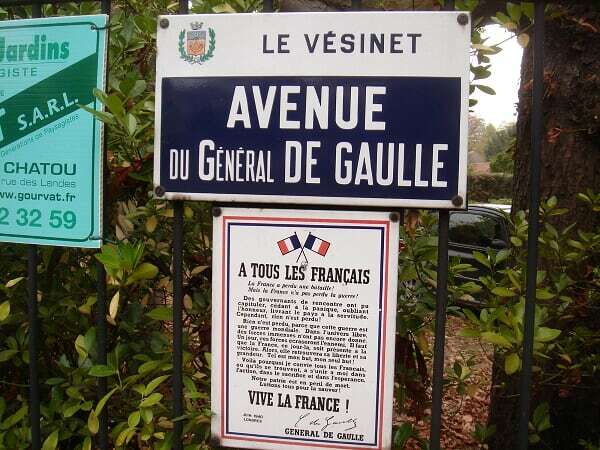 In the novel, Le Vesinet was described as a well-to-do area where mansions were built around the lakes with creeks like silver belts flowing through their backyards. 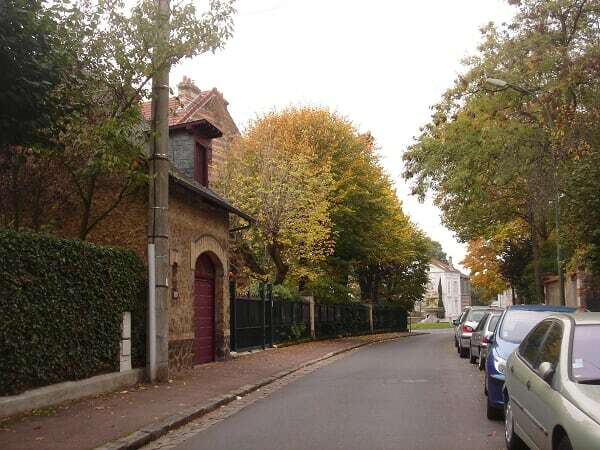 One of the most distinctive features in Le Vesinet is that trees are everywhere, covering most houses. The residence was tranquil. I saw some cars driving through the avenues, but hardly saw people walking outside. There are two lakes in Le Vesinet, this photo with several swans was taken near the smaller of them. Mansions in Le Vesinet–they are mostly covered by bushes and trees. A private villa that encompasses a spacious meadow and wooded area. This is the Le Vesinet City Center that looked more like a country house to me.